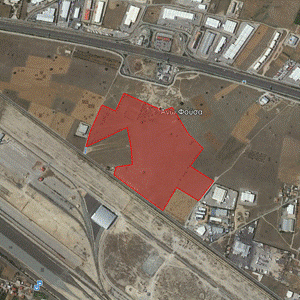 It is a plot of land of over 155 acres located in Aspropyrgos, north of the new Greek Railways Logistics Centre (OSE S.A.) and to the west of Exit E4 of the Attiki Odos ring road. It is classified as an agricultural land parcel located in zone A (Aspropyrgos Agricultural Zone). The change of land use to a ‘Wholesale Zone’ will be completed the following years.